Stock Number and Description Schatton Modellbau Kit No. 72001 - DB/MB L4500 S German Heavy Truck. 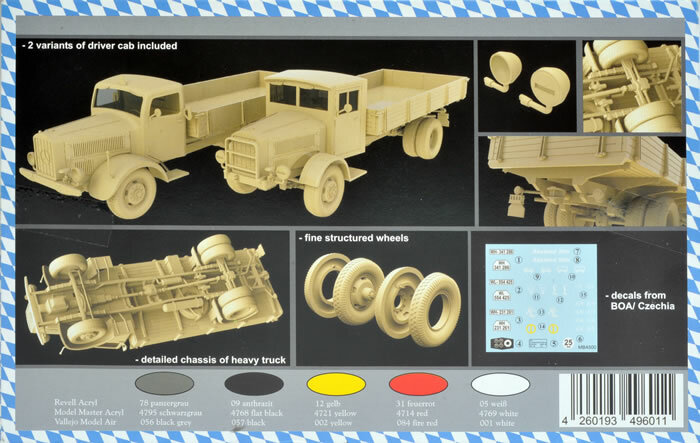 Advantages: Very well detailed, no distortion or flash, optional metal or late war wooden cabs and spare wheel arrangements. Disadvantages: No colour details for inside the cab and there are two colour schemes mentioned in the instructions but three sets of markings. Schatton Modellbau specializes in turned metal gun barrels in all scales for armour, aircraft and ships. I am told this is their first full injection moulded plastic kit. If this is the case, it’s a credit to them. Confusion regins over the title of this vehicle. 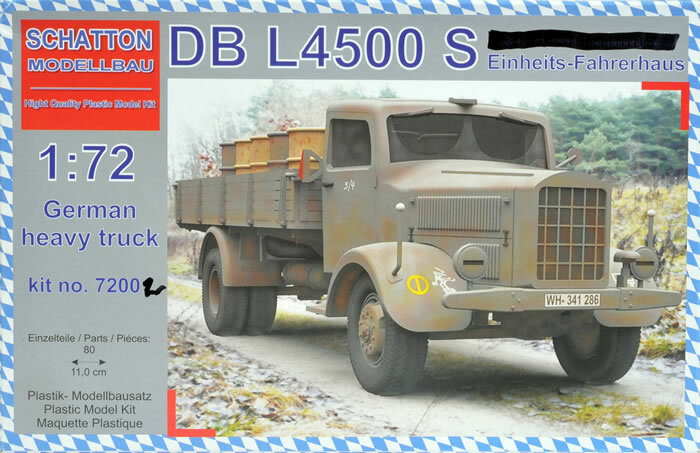 On the box top, it says DB L4500 S (Daimler Benz L4500 S) where-as in the instructions it’s called a MB L4500 S (Mercedes Benz L4500 S). I believe, Mercedes built vehicles where-as Daimler only built engines so should the title be MB L4500 S? I’m not sure. Confusion aside, this is a lovely kit. It rivals anything done by Roden, Revell Germany or any of the resin manufacturers and I think is the first of this big Merc in 1/72 scale plastic. 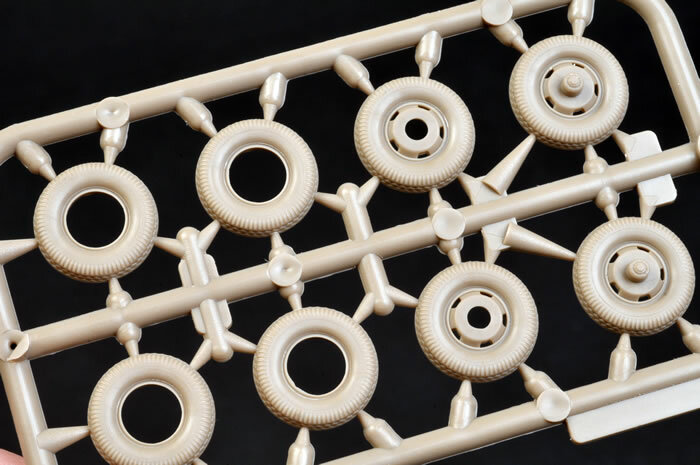 The “A” sprue contains all of the chassis parts including axles, springs, drive shafts, cab floor, top and side engine covers and other small parts. “B” has the two types of cab, metal and wooden (the doors on the metal cab can be modelled open), both types of mud guards and radiator grills. 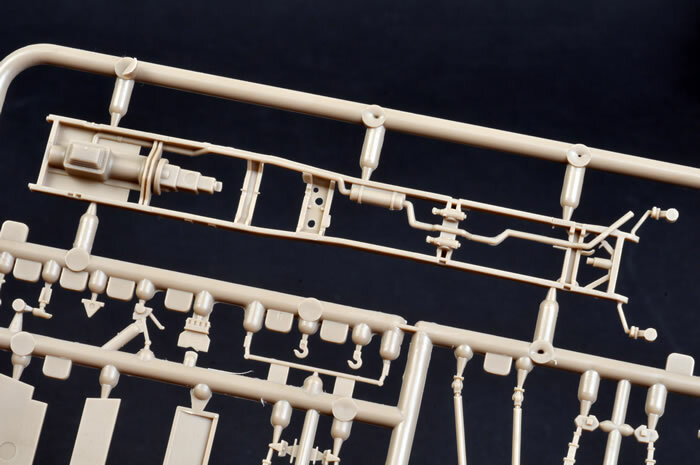 “D” is all the body (cargo tray) parts including two types of side boards although only one is mentioned in the instructions. 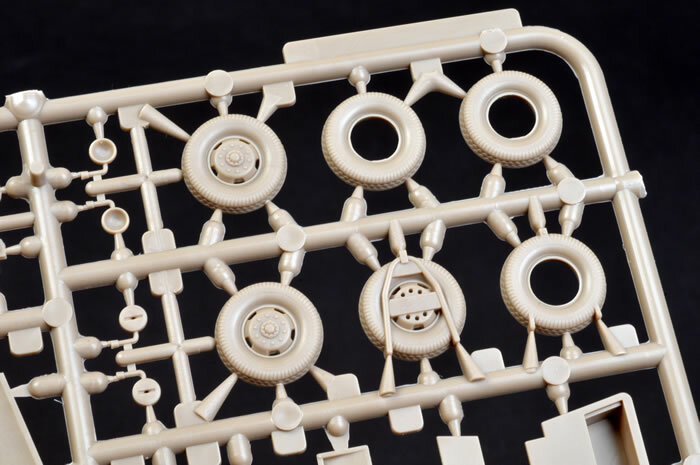 “C” is the four rear duel wheels in eight pieces. The chassis has the lower half of the motor and the exhaust system moulded in to it. The tires have good tread pattern on both the sides and the circumference but due to them being in two halves, some tread may be lost around the seam. The instrument panel is in the form of a decal but this is quite common in this scale. As mentioned above, there are no colour recommendations for the interior of either cab which I guess would be the same as the exterior and take you pick as to seat colours. Also, there are no foot pedals but these are easy to scratch build or can simply be ignored. 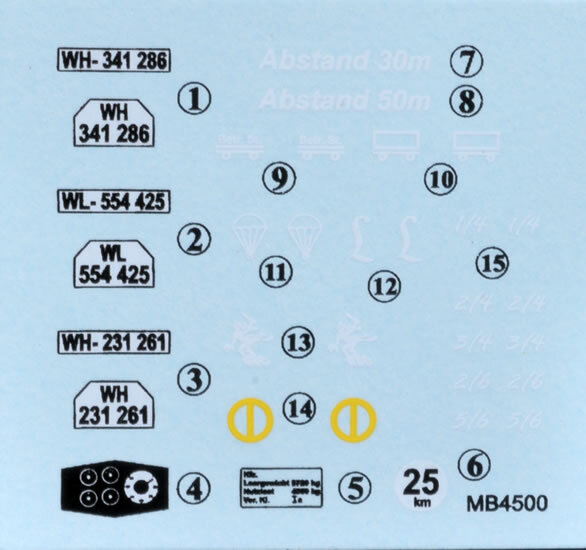 The decal sheet has three sets of markings but only two colour schemes are shown in the instructions. 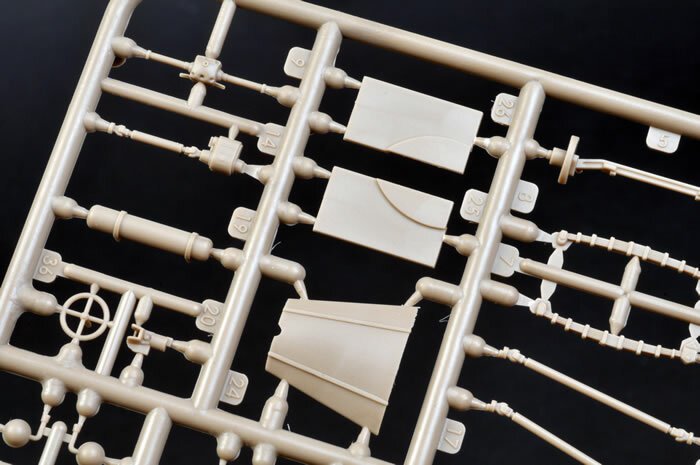 If this is indeed Schatton Modellbau’s first effort in the plastic kit market it is very impressive with an interesting subject and the detail rivals anything I’ve seen from the likes of IBG, Roden and Revell.